Linda Susan Wille, 68, of Burlington, WI passed on January 16, in Hospice at Aurora Medical Center, following a long journey with Frontotemporal Degeneration, which was diagnosed in 2012. Linda, age 68, was born in Burlington, WI to Donald and Romona Wille. She attended St. Mary High School/Catholic Central High School and then earned her Special Education–Early Childhood degree from UW-Whitewater. 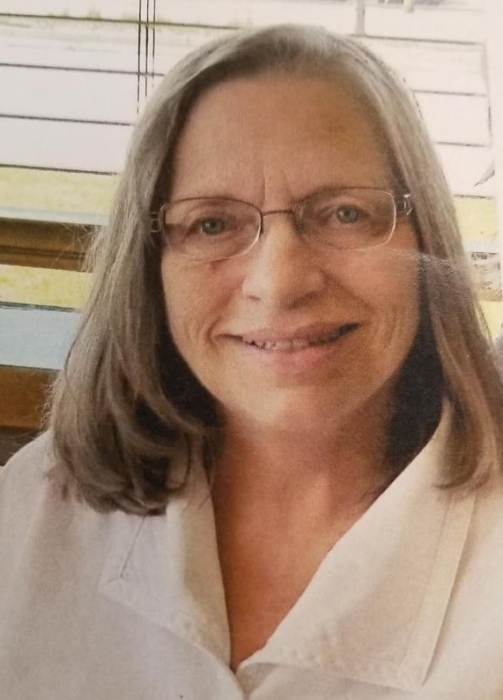 She began her teaching degree in Black River Falls, and upon returning to the southeastern WI area worked for over 20 years through the Kenosha School District in western Kenosha county. Linda is survived by her mother, Romona [Schneider] Wille, brother Craig [Christine] Wille, sister Joanne [Mike] Kresken; nephews Matthew [Heidi] Kresken, Nicholas Kresken, Michael Kresken, Alex [Cathy] Wille, Stephanie [Daan] Wille; great-nephew, Henry Kresken, and great-nieces Lucy, Samantha, Emma, Kate, Cloey, Gwendolyn Kresken and Abigail Wille. She was preceded in death by her father, Donald in 2001. The family wishes to thank Arbor View Memory Care, and especially Anne, Kristie, Meagan and all it’s caregivers and staff and the Aurora E.R. staff for their compassionate care over the past years. Followed by Mass of Christian buriel at 11:00 a.m. in the church. Immediately following will be the burial and lunch and fellowship in Heim Hall.